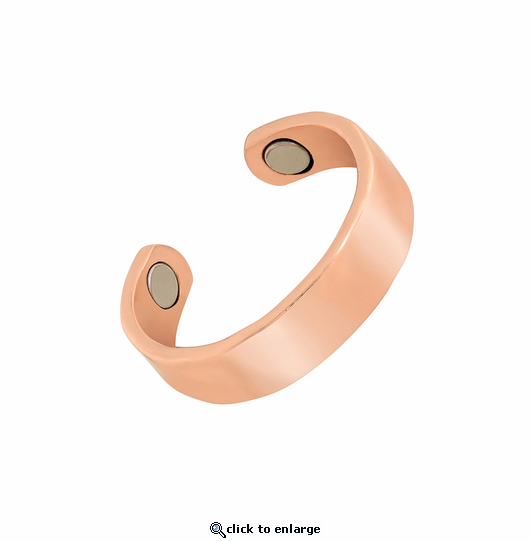 This adjustable copper magnetic therapy ring is styled in hammered copper. It is made of pure solid copper with no color plating. It has a 1500 gauss neodymium rare earth bio north facing magnet on each end. It will fit small to medium finger ring sizes about 6 - 9.